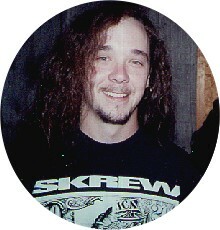 This is our uncle Jason, daddy's brother! He is lots of fun to visit, because he plays cool video games!! My favorites to play are Star Wars, and Bugs Life! 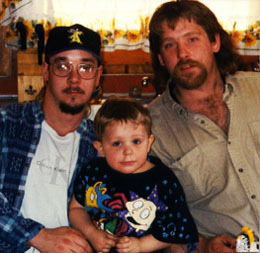 This is a picture of me (I was 2 yrs old), daddy and uncle Jason. Mommy took it at his house. He liked our site so well, he asked for his own page!!! 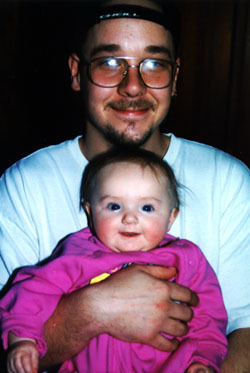 This is Uncle Jason and Emilee (she is 4 mths old here). Taken around Christmas time! Isn't that a sweet smile?